Amazon Smile and St. James Church! We are excited to let you know that St. James Episcopal Church Groveland is now registered with AmazonSmile as a charitable organization! 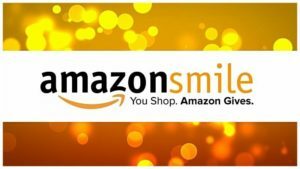 Every item available for purchase on www.amazon.com is also available on AmazonSmile (https://smile.amazon.com) at the same price. When you shop for items that you need, you will also be supporting our church! If you have questions or want more information about the AmazonSmile program, click here, or contact the church office and we’d be happy to tell you more about it!